To my readers -- Thanks for a great 2008 and Happy 2009! As the old year winds down, just a quick note to acknowledge another year of blogging and a hearty "thanks" to my loyal readers. In 2008 I set new records for page views and unique visitors, by quite a margin. My numbers for both are up 25% from the prior year, and I appreciate all your readership, support, ideas, and, on occasion, disagreements! Let's hope 2009 brings with it many exciting developments in the printing and imaging industry! Somehow, going back over the year 2008 feels mentally harrowing. Although there are reasons to celebrate, the year was also characterized by nerve-wracking crises that we cannot say are fully past. It was a momentous and historic year for the world, to be sure, but in many ways it was a quieter and more down-to-business year for the printer industry. So in reflecting on a topic for my end-of-year column, no great industry event triggered my imagination. And in fact, the title of this column was the closest thing to a breakthrough I was able to produce for some time, until the rest of the pieces began falling together to support the thesis of the danger in printing in 2008. Why was printing more “dangerous”, at least in some small ways, in 2008? I think there are numerous reasons to be examined as early indicators at least of major changes in the printing and imaging business. Printing’s association with troubled industries and the accompanying guilt by association is one reason. During this year’s Lyra Supplies Symposium in Las Vegas in August, the expert panel that concluded the event was asked to comment on the future growth, or lack thereof, that they anticipated in the printer supplies business. While many panelists conceded that printing had recently declined in certain markets, there were counteracting forces leading to an overall GDP-level growth in printing over the forecast period of the next few years. What was the biggest recent source of decline in printing volumes? Banking and finance-related businesses, including real estate, which have traditionally been print-heavy industries. A lull in their business levels showed up in a correlation with pages printed—and this was in August! With the economic chaos since then, it is only natural to assume that when the dust settles, print demand generated from loans, credit applications, title work, real estate bids and assessments will have fallen drastically, because the number of deals is off sharply and so many pages are printed per deal. The growing “green” consciousness around printing, especially as it ties to cost savings is another reason. The field of managed print services (MPS) has unquestionably been a bright spot for the industry this year. And its success, in finally seeming to take hold after years of discussion, has many pointing to the green trend among end-users (as well as organizations) as the potential reason for this tipping point. 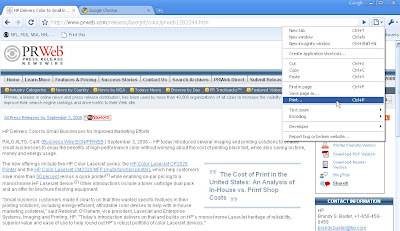 A recent example, not appearing on the Web pages and success stories of corporate MPS providers like HP or Xerox but at the “TechSoup” Web site, is titled “Choosing Print Management Software.” TechSoup bills itself as the “The Technology Place for Nonprofits,” and while its interest in saving money for its readers is not surprising, the site seems to have focused on printing for both cost and environmental reasons. TechSoup ran a special series including features like “Choosing Print Management Software” and “Creating and Distributing Electronic Annual Reports and Marketing Materials” that was presented with a high level of professionalism, although the topics lead customers in the wrong direction for the printer industry. One further example of how printing became dangerous, or at least on the outs, comes from a Wall Street Journal article from August 22, titled, “Tech Firms Pitch Tools For Sifting Legal Records: With E-Discovery, Lawyers Face Loss Of Client Fees.” The article reports that millions in legal fees are at stake, as hyper-efficient electronic searching supplants traditional manual searching of paper records, which is time-consuming but provides lots of billable hours. While in many cases (sorry for that one) the process involves merely scanning and indexing historic paper documents, there is also much to be gained from those documents never being in paper form to begin with, and then not, at least as a rule, being re-printed from their electronic repositories for legal purposes. HP and Xerox are two of the “tech firms” mentioned in the article, and you need look no further than the pages of the May 2008 issue of this newsletter to find a story about HP’s acquisition of Tower Software, an Australian based e-discovery firm. An alarming October 9 article in The Economist brought further squirming from those of us in the industry. Entitled “The Paperless Office, On its Way, at Last: No longer a joke, the ‘paperless’ office is getting closer,” the article contains a case study of a small Austin, Texas administrative business (Breedlove and Associates) and its efforts to go paperless. It includes chilling quotes. The article concludes (spoiler alert), however, with the familiar-to-some analogy of the arrival of the “horseless carriage” and the horse population, and the fact that today’s society is home to approximately the same number of horses as 100 years ago, but they are used in radically different ways. So one might argue that paper could be used in ways that we are only now discovering, while being replaced nearly altogether in other areas. I take the liberty to examine the state of printing about once a year, and thanks to my readers for indulging me yet again. Indeed, to me anyway, printing, or at least relying on traditional printing, does seem dangerous at the end of 2008. Nevertheless, while trade-offs will occur, vendors will continue to find growth areas where they can prosper. After expressing perceived pent-up demand for Apple (NASDAQ AAPL) iPhone printing for the last year and a half (see the first of many posts at "iPhone Printing"), we now have two iPhone apps (so far) that deliver on the promise. The two iPhone apps enabling printing from iPhones have surfaced this holiday week. First, there's the application simply titled "Print" from EuroSmartz, Ltd. I've purchased ($2.99) and tested this one and was able to print a photo right away on a networked HP (NYSE HPQ) LaserJet 1320, but had trouble printing a web page. This app requires a corresponding server program running on a Mac or PC. So far, 15 user reviews have been logged on the iTunes iPhone apps store, with an average rating of 3.5 stars. HP's "HP iPrint Photo" was officially announced yesterday (see release, "HP Introduces Free Photo Printing Application on Apple App Store") and will be showcased at the upcoming CES and MacWorld shows. It's average 3.0-stars review comes from an amazing 163 reviews, as of this morning at just after 10am (12/23). That number indicates the interest in this free app - it was 59 reviews when I started writing this post no more than 1/2 hour ago! See this PC World note, "HP Enables Photo Printing on the IPhone", for a few details. So far I have not been able to get it to work, btw. Many users are reported good results, though. More to follow, included my own hands-on work and an analysis of those reviews (now up to 189 five minutes since I checked last!). In related news, Polaroid has declared bankruptcy, again, less than eight years after entering Chapter 11 in 2001. The Cnet blog Underexposed by Stephen Shankland, carries an interesting summary in "Fraud case leads Polaroid to bankruptcy protection". The company's woes relate back to their primary investor, Petters Group Worldwide, and their troubles of earlier this year, when Tom Petters, and others, were charged in a ponzi scheme. 'Tis the season, for great deals and holiday shopping. Unfortunately, this year, that also means stories of bankruptcies and ponzi schemes are becoming all too familiar. The "social publishing" site Scribd.com, or more specifically the company behind the site, received a major shot in the arm Friday, with the announcement of a new round of funding. In their release "Scribd Secures $9 Million in Series B Financing, Bebo COO George Consagra Joins as President". Also included in the release is the announcement of the addition of high tech executive George Consagra as the company's new president. Particularly interesting is this funding in the light of depressed venture activity, going along with the economic crisis dominating thinking as 2008 comes to a close. Mike Masnick of techdirt had an interesting post the other day -- see "Venture Capitalists: Buying High, Selling Low". Back to Scribd specifically for a moment -- back when I covered the company in my May 2008 Observations (see "The YouTube for Documents"), I reported the site was experiencing up to a million visitors a day, equating to 15 to 20 million visitors per month. The current tote is up to four million daily visitors. Michael Arrington of TechCrunch.com, via the Washington Post, also has a good recap of the funding along with identificiaton of several new competitors to Scribd.com, Docstoc and Issuu. Say it ain't so, Steve! That take-off on the old refrain dating to the Shoeless Joe Jackson and the Black Sox scandal was my first thought when reading today's business news (e.g. "Apple says 2009 Macworld Expo will be its last; Steve Jobs won't give keynote next month; stock falls after announcement"). It was only two years ago this coming January when the entire CES show in Las Vegas was thought to be down due to attention and attendees drawn off by San Francisco's concurrent MacWorld and Apple's initial iPhone announcement. But for those visiting crowded Apple stores recently, the idea that the company has other newer ways of reaching customers holds water. But the MacWorld show, and the keynote especially, is stuff of legends. I'll never forget, for example, being on the floor in the HP (NYSE HPQ) booth as the first Macintosh-compatible LaserJet printers were on display. Best-headline award, so far anyway, goes to John Paczkowski at All Things D's Digital Daily, "Macworld Without Steve? That's Like 'Baywatch' Without Hasselhoff". In a unique announcement that helps to cap off what has been a huge year for "Green" efforts across the printer and printing industries, PrintingForLess.com is out today with the news that they'll be doing business in their Livingston, Montana facilities using electrical power generated by the wind, through their local Park Electric Cooperative. In the company's press release, PrintingForLess.com Goes Green with 100% Wind Power -- America’s Print Shop Commits to Wind for All Its Energy Needs, PFL CEO Andrew Field describes the effort as follows, "Though wind-powered electricity costs a little more, we believe that as more businesses purchase energy from renewable sources, green power will gain momentum and go mainstream, eventually providing our country with the best of all worlds: energy that is clean, cost-effective and made in America." In direct follow-up discussions yesterday, just as the company was preparing the final release, Field described the reaction to this newly-announced effort which he classifies among the "smart environmental efforts" that PFL is practicing, as an initiative which "both employees and customers are excited about. It's real and they're happy to be part of it." Field also reinforced his belief that PrintingForLess.com's step as being a force in the supply-and-demand chain that will promote and grow usage of renewable energy overall. "It's a chicken-and-egg dilemma, and we're taking the lead," Field said. As far as the bigger "Green" picture, parallels to recent observations in the Managed Print Services are worth pointing to in this case. The positive employees-and-customers reaction to the "Green" priority in MPS engagements has served as the tipping point for success in numerous cases this year. I covered the Wired Gadget Blog's "Five Useless Gadgets" post from about a month ago, with "covered" in this case meaning barely more than a mention, and an admonition to please recycle. 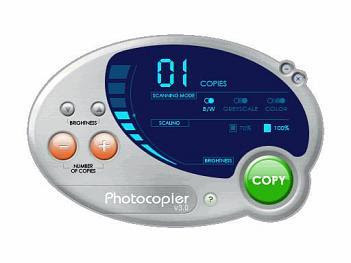 Writer Charlie Sorrel's November 3rd post took on printers, scanners, and fax machines, along with "built-in optical drives" (i.e. DVD burners and the like) and landline telephones as has-been devices ready for the junk pile. Overall I thought he made some good points but as I mentioned in my brief brief, he seemed to have tongue firmly (or loosely anyway) in cheek. Now one of our leading printer industry blogs, the Databazaar Blog, takes on Charlie's arguments with a vengeance in a piece by Writer Kara Soos, "Ditch Your Printer Says Wired's Charlie Sorrel. We Say Ditch Sorrel's Silly Argument." It's an interesting face-off, with the snarky gadget blogger up against the ink-and-toner-sponsored counterpart. Wisely Kara lets the Wired blog's comments do most of her arguing, and she has an advantage with the bulk of those seeming to go against the "useless" rant. However, there's a stretching of the point, especially around an implication (that I read in anyway), of the category of consumer printers being "as healthy as ever". As just one quick-and-dirty data point, industry leader HP (NYSE HPQ) and their recently announced quarterly metrics, reflects a decline in consumer-class hardware unit sales, down 8% in the most recent quarter, year-to-year. In addition to SharedBook and their latest announced covered here recently (see "SharedBook announces LucasBooks personalized edition"), another company from Demo I've followed here on a semi-regular basis is ZINK. They're the "Zero Ink" printer company that hit the market in early 2007 at Demo (see "Zinking In From Demo 2007") and then announced their initial partner plan at CES a year later (see "Zink Partnerships Make Really Big News"). In addition to trumpeting these accomplishments, it's worth observing that the PoGo is currently priced at $99.95 at Amazon.com, which is a reduction from the original $150 price, and has recorded 16 user comments netting a mean star rating 3.5, which of course could be higher. With that noted, the company is proceeding along their ambitious path of bringing printing to places it hasn't been before, and the printer industry needs more innovators like ZINK! To my readers, hope all had a great Thanksgiving holiday. Checking my favorite shopping web site, Techbargains.com, yields advice on several great printer deals at various brick-and-mortar and online sites. The Samsung CLP315 Color Laser Printer is showing up at several with that magical $99.99 price (see last week's post), with the very best deal seemingly at Office Depot (NYSE ODP) where the sub-$100 price (after rebate) includes a $20 gift card! One of the most intriguing listings for me is not a printer, but rather a rather new electronic book reader, the Ectaco jetBook at NewEgg.com, featured at $198. Conveniently, my blogging colleague Andrew Mackenzie covers the product with multiple posts, linked from "Black Friday eBook deals at NewEgg". It's a long-time followed beat that I've been somewhat lax in covering recently, but a favorite company from the Demo Conference series, SharedBook, had an announcement yesterday that caught my attention, partnering with Random House and LucasBooks to offer the launch of the personalized edition of Star Wars: Millennium Falcon by bestselling author James Luceno. What is particularly exciting for us is that it is the first front list title to be given the personalization options by SharedBook. In addition to offering customers a unique product, the combination of custom book publishing with a brand like Star Wars is a great PR move, at least by my admittedly crude-but-effective metric, the Google News Search index. A search on Google News late today, the day after the announcement, for "SharedBook LucasBooks", yields an impressive 101 hits. Here's an example: "Get a Personalized Star Wars Novel". HP (NYSE HPQ) announced earnings after the market close yesterday, and while the pre-announcement the week prior took some of the steam out of the detailing of their overall excellent numbers, some interesting tidbits are available for perusal. The conference call transcript, as available via the HPQ Investor Relations site or, conveniently, at the Seeking Alpha web site (See "Hewlett-Packard Company F4Q08 (Qtr End 10/31/08) Earnings Call Transcript"), yields some of these. In CEO Mark Hurd's opening remarks, he hits on the condition of the current economy and what that means to HP's business prospects. ...let me highlight three reasons I'm confident in HP's outlook despite the macroeconomic challenges...our business mix. [One reason is] we have approximately one-third of our revenue and well over half of our profits from recurring sources, like Services and Supplies. Although not immune to economic factors, the future performance of these businesses is largely determined by the quality and sale of our customer installed base. While some skeptics have emerged among today's Tuesday-morning quarterbacks, forcing the stock down some (e.g. see "Hewlett-Packard hit by worries about forecast"), it's worth singling out the printer business, and specifically its growing Managed Print Services (MPS) component, as a major contributor to Hurd's logic. Supplies grew to 64% of the Imaging and Printing Group's (IPG's) revenues, and while that's an across-the-printer-board metric, MPS growth, while not detailed in the release, is certainly growing, with a proxy to be seen it the 25% growth figure announced for Printer-based MFP's, a standout number among otherwise mostly-declining category growth rates. After the markets' close yesterday, HP (NYSE HPQ) announced its previously-pre-announced earnings for Fourth Quarter FY08. The overall numbers were quite heartening in this era of economic fear and doubt (see "Hewlett-Packard confirms earnings, backs outlook"), and the numbers from Imaging and Printing Group (details below) was more of a mixed bag. Fourth-quarter IPG revenues actually declined one percent, compared to Q407, and with the company's overall revenues continuing to show very healthy increases, the printer unit's proportion of company sales shrinks again. Margins, however, remain robust for IPG, contributing nearly half of HP's profit dollars. And it's always interesting to see which details HP chooses to share about the business. Color laser printers were reported as DOWN a few percentage points, but with HP's emphasis on its inkjet technologies both high and low, one wonders if this is a bragging point (lower lasers mean higher inkjet sales?). Both consumer and commercial hardware units showed year-to-year sales declines, and with supplies up another 9%, that category now represents nearly two-thirds (64%) of overall IPG revenues. And HP's interest in wireless printers (see "HP is Wild About Wireless") is confirmed by its inclusion in the metrics matrix for the first time. As a printer industry veteran, the Fall of the year brings to mind the now long-ago excitement that we in the biz felt when the PC Magazine annual Printer Issue hit our mailboxes. Which companies, and models, would warrant top-ranking "Editors' Choice" awards? And what printer would grace the cover of the issue? The annual edition set the standard for who was on top, and who was gaining, or falling. The magazine was written for technology and printer buyers, especially the elite early adopters, but industry insiders gave great attention to its advice. In-the-know marketing and research-and-development types were recognized by their collections of back issues and cubicle clippings from PC Mag's printer edition. Through the '80s and '90s, I was fortunate enough to work for a company whose latest printer model often made the cover of this landmark issue. It was an honor we cherished, and worked for. A "vision statement" for a new printer development team often included the "stretch goal" of making the cover of the annual. While sales and profitability were the shareholders' yardsticks, the "PC Mag Printer Issue cover" metric was in many ways the ultimate (and not unrelated) prize. The comprehensive Fall printer edition has been gone for awhile, with the magazine's continually excellent printer coverage spread out through the year. (And at least sporadically mentioned and linked to in this blog.) Now, in a move that really changes nothing but still evokes nostalgia, word came from the publication, via messages from Lance Ulanoff, Editor-in-Chief, of PCMag Digital Network PC Magazine Goes 100% Digital, and the one-time "Mr PC Magazine" Michael Miller's Requiem for PC Magazine (Print), that PC Magazine will no longer be a print publication. ...Our annual "Perfect PC" issue...in those days, the magazine was filled with ads -- I fondly remember going back and forth comparing the multi-page ads from all the direct vendors trying to figure out which PC I was going to buy. 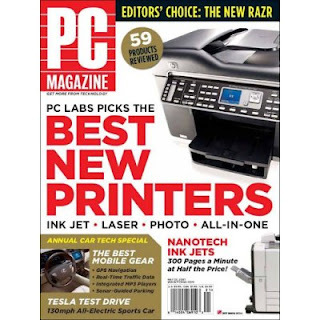 And thanks to my blogging colleague Greg Walters, at The Death of the Copier, for his post (see "PC Magazine Dropping Print for Online") for alerting me to this development. As this memorable year of 2008 makes its way to exits, we look ahead to better economic times. These better times can begin right now -- in the words of one of my most astute economically-inclined friends, it's simple, "BUY SOMETHING". With the holidays coming up, there are plenty of opportunities to buy, for yourself and for others. 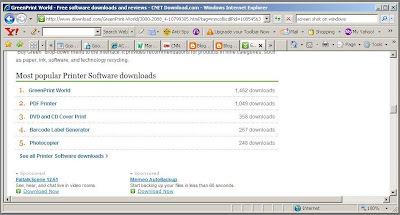 And to help, I'm posting the TechBargains.com widget elsewhere in my blog. And if you must wait, at least get ready by consulting the available Black Friday ads. 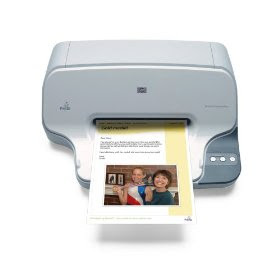 Last year's brought us the first $100 color laser printer -- what will 2008 bring? By eliminating paper labels, it will save 1,338 tons of paper each year once the imprinter is fully deployed and millions of dollars in annual operating costs. Last month, in my October Observations, I examined an industry business opportunity based on meeting the customer needs of an often-overlooked population, the elderly. In consumer technology, rapid innovation and ever-shortening product life cycles can be hard to keep up with, assuming we were ever caught up to begin with. Society has gone from the joke about the irritation caused by the blinking “12:00” on VCRs of the 1980s to a major generational divide in terms of how and what we use to accomplish basic communication. CaringFamily and Presto are two firms that set out to match technology capabilities to the communications needs of the elderly and their families. And each has taken enough of a separate path, while simultaneously sharing many similarities, so that further examination provides an opportunity for some great marketing insight. First, what is common? Both firms researched families’ unmet need to communicate beyond voice (i.e. telephony) and the unsuitability of much of today’s technology to address the problem. Sending clippings, photos, and letters via snail mail still works for many of the elderly, but it seems that the payoff of immediacy—already delivered in the home and work lives of so many via technology—could dramatically improve communication links between families, especially when distance makes face-to-face contact infrequent. So what are the differences between the two providers? One of the biggest is marketing, especially in terms of the “Marketing P” for “Place” or distribution. While the firms agree on the ultimate users of their product and service, CaringFamily markets to elderly living facilities and care centers, where “social directors” and other professional caregivers can see the quality-of-life benefits of these communications nodes (and of course can encourage family members to do the same in their homes). They also can recognize that such capabilities add to their centers’ attractiveness to would-be residents and their families. This is an “industrial marketing” approach where as a part of their jobs, buyers make purchasing decisions based on hard facts and analysis, often in groups or committees. Presto went the consumer marketing route, with strong promotion (another one of the four “Marketing Ps”) via a well-covered launch at a Demo Conference and a Martha Stewart appearance. Presto’s product and service is available on Amazon.com and at other retailers. In both cases, marketing an unfamiliar product or service is difficult. “Anything with an education component is a challenge. It has to be more than ‘Here it is’,” notes CaringFamilies’ Davoust. I did not probe either company for hard numbers, but there are enough indicators of success to keep enthusiasm going for the future. Along with sticking with the game plan and building their existing businesses, what lies ahead for the two companies and their potential for branching out? Davoust’s CaringFamily is moving forward and finding traction for its solution within the science and research organizations the firm has worked with to understand the needs of those organizations’ customers and develop appropriate solutions. "Obama Elected" newspapers sell out -- the exception that makes the rule? While this blog's primary focus is printing in the home and office, from time to time we can't help exploring the overall future of the printed page, including that venerable societal institution, the newspaper. "I think there is an authority and finality, a sort of last word that comes from the printed edition of the newspaper," said Steve Hills, president and general manager of Washington Post Media. 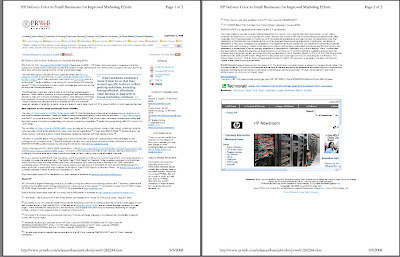 Start by reading the post ("Economy's Impact on Managed Print Services -- We ask you!") and then link to our five-question survey. We'd appreciate your inputs! And thanks to fellow blogger Greg Walters at "The Death of the Copier" for posting a link to the survey, too. And from the "Great Minds..." department, Greg's also hosting a LinkedIn discussion on the same topic. A few green-related announcements have come my way over the last few days and are worth noting here. First, Amazon (NASDAQ AMZN), while not strictly a printing and imaging company, had the courage to announce a major business story last week during the flood of attention on the US Presidential Election and its immediate aftermath. The release (see "Amazon Announces Beginning of Multi-Year Frustration-Free Packaging Initiative") points out the multiple objectives the company has in mind, both reducing user frustration with hard-to-open packaging as well as a reduction in packaging waste. See my separate post, "When is getting more than you expected a bad thing?". Second, and also last week, GreenPrint announced the long-awaited Mac version of their print management software. The Windows-based software has been mentioned at this blog many times, and the Mac companion is a welcome addition to the market. I like seeing they're positioning the "one click PDF" creation as a key feature of the software, and also that the company is continuing to use Scribd.com as the information storehouse for their releases. HP estimates that if all ink cartridges returned via in-box envelopes in 2008 were instead returned in bulk from authorized retail recycling locations, the amount of shipping materials used would have been reduced by more than 600,000 pounds – enough to fill more than 15 tractor trailers. (1) Additionally, transport efficiency may be improved as cartridges shipped in bulk can be packed more tightly than those shipped individually – with twice as many cartridges fitting in the same amount of space. (1) Based on a nominal payload of 40,000 pounds; takes into consideration unused envelopes. When is getting more than you expected a bad thing? Although so far it's not directly printer- or supplies-related, I was excited to see online retailer Amazon's (NASDAQ AMZN) announcement last week about simplifying product packaging and reducing packaging waste. 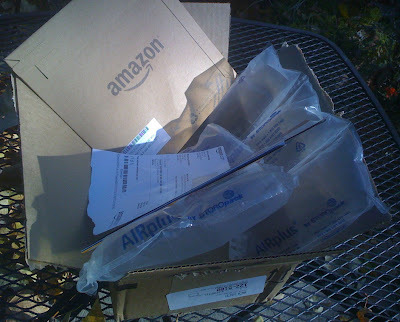 (See "Amazon Announces Beginning of Multi-Year Frustration-Free Packaging Initiative.") Both points -- making packages easier to open and at the same time producing less waste -- represent noble objectives in my opinion. 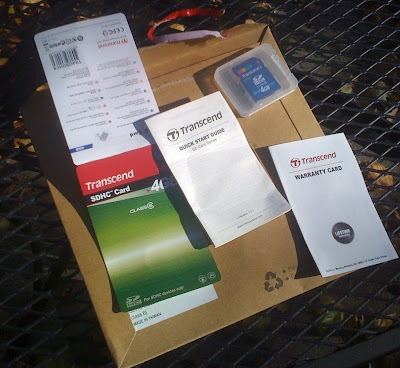 Small items, such as memory cards, are also good candidates for Frustration-Free Packaging. Typically encased in oversized plastic clamshells to deter shoplifting, memory cards are then placed inside larger cardboard boxes for shipment to customers. Working with Transcend, Amazon has eliminated the hard-to-open clamshell and the need for an additional box. Instead, the cards will now ship inside recyclable cardboard envelopes which use less material. 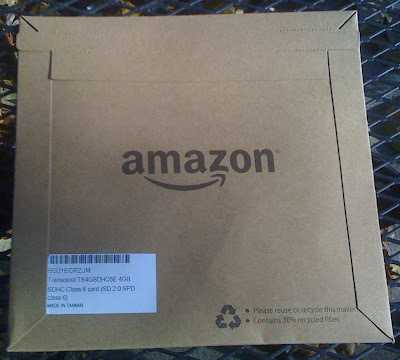 Amazon is working to shrink the envelope size even further. Still too much inside the envelope, but at least it's not a lot of mass! 3D Printers on the same downward price path as conventional printers? Thanks to a regular reader for sending over this post from earlier in the week, about the comparison between price/performance levels of 3D printers of today and the original laser printers (in this case, the Apple LaserWriter) that started the Desktop Publishing revolution now over twenty years ago. Lloyd Alter at Treehugger.com writes in "3D Printers Now as Cheap As Laser Printers Were in 1985" that the price of a Now Desktop Factory "3D Printer" is just $4,995. Buying a printer is like buying a timeshare in a vacation home. It looks cheap until you figure out all the extra costs, and that you don't ever use it after the first year. Outside of an office or a photographer's studio, they're obsolete -- myriad online printing sites will take care of your photos, at a better quality and lower price than you'll get at home. And btw, if you're going to follow the article's advice, at least recycle! Tip of the hat to my blogger buddy Tom for sending over the link, during this distracting news period. The settlement, which is effective only in the U.S.—people elsewhere will only be able to view snippets of book text as they can now—is in some ways a win for publishers and authors. They will get new revenue streams for books that in most cases didn’t have a market anyway because they were out of print. However, Google also ended up paying what was relative chicken feed for the right to continue scanning books, and it will get what looks like a sizable chunk of revenues from subscriptions, as well as ad revenue. The only question is why it took well over two years for the two sides to come to an agreement that appears to work well for both of them, as well as for readers. Regular readers may remember my July 2008 Observations where I discussed Google Book Search in the context of a print opportunity, inspired by HP (NYSE HPQ) Printing head Vyomesh Joshi's speech at drupa. Today's settlement clears the way for Google-enabled sale of out-of-print but still in-copyright books, in digital form. It seems clear many of these editions will be on the path from bits back to atoms -- how the print and print-related industries responds will be interesting to watch. The Official Google blog has further explanation about the arrangement, but nothing about printing! This basic program, by Nico Cuppen Software, works simply and allows me, in one push of its green button (see above), to make a quick copy using my scanner and laser printer. Now what's magic about this? Nothing really, but keep in mind that my scanner is part of an inkjet all-in-one and the laser printer is stand-alone (see my interview at the Databazaar blog for a description of my office hard copy setup). So I get my nice, crisp, toner-based black-and-white copies and work around the inkjet printer, which is seemingly forever on its last drops of black ink. And "real copies" aren't produced by inkjets anyway, at least to some of us old-schoolers! To close on the theme of "future is here", this whole "peripherals talking to each other" is mindful of a very substantial project I worked on at HP (NYSE HPQ) more than ten years ago, which eventually made it to market under the brand "Jetsend". While today's simple solution I've described is hardly the independent, stand-alone peripherals vision of that program, in fact far from it with the ever-present PC doing much of the work, functionally -- how the solution satisfies a customer need -- it could be argued it's the same. Then our readers do their best to digest all of it to keep up with the state of the industry, with the goal of “staying competitive.” Keeping this in mind, for the last three years, I’ve used my monthly “Observations” column to explore less-obvious developments and trends that might be otherwise overlooked. I try to acknowledge and appreciate the role of history, looking back to how we arrived where we are today, and I like to look ahead, scan the horizon, and pick out what might seem now like a mere blip on the radar but that could someday have consequences for our world. I also have a soft spot for passing along great marketing stories. For some this may bring to mind P.T. Barnum, but for me, it means a great application of marketing principles, where a customer need is identified and understood, and then a business is developed around satisfying that need in a unique or superior way. When all that comes together, the clever people behind it all are likely, though not guaranteed, to be rewarded in the marketplace. Because of recent personal experience, I can relate to one of these examples that, although not specifically in the hard copy arena, is related to technology and communications. You may be familiar with the “Jitterbug” mobile phone that features a handset with very large keys and easy-to-read symbols, a bright display featuring simple messages spelled out in large characters, a sensitive microphone and extra-loud speaker, and a certain size and heft that theoretically makes it more difficult to misplace, at least compared to many of today’s mobile phones. The Jitterbug phone service features user-friendly over-the-phone setup and support, provided by courteous English-as-a-first-language agents, and functions like populating the address book can be done voice-to-voice. The Jitterbug even has a comforting dial tone indicating it’s on and ready to use. For our family, the experience of staying a little closer to distant, elderly relatives has improved dramatically. The Jitterbug’s combination of small things has added up to a big difference, eclipsing what had been years of frustration with conventional mobile phones and even land-line-based cordless models. It is not the cheapest telephone alternative, at least in our area, but it is by far the most valuable we have found. The emotional need to share things visually is certainly just as real as that for voice communication, and this need helps bind family groups together. Pictures, notes, and clippings are important to the simple but critical concept of “keeping in touch.” And many of us have converted from a mostly snail-mail approach to e-mail and social networking that are so pervasive today. But what about those who have not made this switch? For every PC-loving elder who has made the transition either with assistance from a younger-generation family member or on their own, there are those who have struggled and given up, or who never had the opportunity. So is there a hard copy equivalent of the Jitterbug success story? Of course, or at least developing ones. There are at least two companies, CaringFamily and Presto, that have made tremendous strides in putting together a hard copy hardware- and software-based solution that satisfies at least some of the previously unmet communications needs of families with elders living remotely. Think about the difficulty of using e-mail for anyone who is uninitiated: booting up the PC, getting on the Internet, logging into the e-mail program, and remembering user names and passwords. Then there is the confusion of reading, let alone sending, saving, and printing. Both CaringFamily and Presto, recognizing these difficulties, have set out to make the “inbox” a real physical inbox that is actually the output tray of a simplified but otherwise ordinary inkjet MFP. At its launch two years ago, Presto’s founder told a frustrating tale of setting up his own mother on e-mail, and used his experience as the inspiration to start the firm. While Caring Family and Presto are on to some great discoveries and approaches in satisfying real unmet user needs, challenges remain. The world has yet to beat the proverbial “path to their door,” at least a well-worn one, in either case. In my November “Observations” column, I will take a closer look at each company and their similarities and differences. Marketing lessons to be learned include the critical importance of combining the features and benefits of products and services and how the “Four P’s” all come to play. There is even an “enterprise versus consumer” angle that might sound familiar to many of us! Designing and delivering a hard-copy delivery system is a worthy business goal, in addition to being a meaningful way to improve people’s quality of life. Recall the famous recruiting line from Apple’s Steve Jobs to then-Pepsi CEO John Scully, “Don’t you want to do more with your life than selling sugar water to kids?” In the case of helping families communicate, it is more than just a scheme to get users to use more ink. Over at the other blog where I now have editing and writing duties (see "Printer Industry Blogging Duties Expanded"), that being the "Printer Industry News", we've put out a "Call for Speakers" for the April 2009 first annual Managed Print Services conference. I would encourage readers of this blog to consider the opportunity, if background and experience fit. The conference will be a first-of-its-kind in this fast-growing area of the industry, and with its client/customer-eye view, promises to advance the win-win aspects of MPS. One of the big impressions (no pun intended) I'm taking away from the HP (NYSE HPQ) press and analyst event wrapping up today is the company's emphasis on wireless printing. While other suppliers -- Brother and Lexmark (NYSE LXK) come to mind -- may have been ahead on WiFi-enabled printers at one point in time (see my November 2007 Observations, "Wi-Fi Printing -- Look Ma, No Cables"), HP has filled the void in a rush, claiming 75% market share, higher than even the typical 40%-60% share commonly held by the company in many consumer and business printer categories. HP also introduced new wireless printers and committed to expand the entire HP Photosmart printer lineup with wireless capabilities by 2010. Highlighting the new models is the Limited Edition HP Photosmart C4599 All-in-One , which features a sleek design and piano-black finish to match HP Pavilion notebook computers. Notebook PC sales have increased by 50 percent each year since 2006,(2) presenting a large opportunity for HP to attach wireless printers at the point of sale. (2) Source: MAP, PSG Market Model, Final 1H07, Forrester 2007. (3) Wireless performance is dependent upon physical environment and distance from access point. (4) Estimated U.S. street prices. Actual prices may vary. I'm at HP's annual Imaging and Printing event for the Press/Analyst community, in San Diego. The weather's beautiful, but it's not like we'd know it, with the full schedule HP's packed in for us over these few days. And while the "live" usage in this post's title might indicate otherwise, "live blogging" this event is out of the question, at least with my limited observational and typing talents. It's a three-ring circus here, as it should be, with HP's ever-broadening coverage of the printing and imaging field. So I will direct my readers to a collection of press releases* for now, and will highlight a few of the high points from HP (NYSE HPQ) printer chief Vyomesh Joshi (aka VJ) and his kick-off presentation yesterday. VJ's highlights included these vital financial stats from the last year: IPG revenues of $29.4 Billion, with an overall 15.4% operating profit, and 8% revenue growth attributed to the supplies portion of the total. Not to be satisfied though, he identifies an overall $265 Billion printing opportunity for HP, comprised of the growing digital portion of the imaging and printing business, now pegged at 10% of the total 53 trillion pages to be printed in 2010. Strategically, VJ spotlights the transition in the view of the business from "Printers" to "Printing" to "Pages". So much to discuss, so little time. Now off to more sessions! Greetings and welcome to the blogosphere (I guess we still call it that), Arthur Post and his new blog, Print4Pay Hotel! I appreciate the link in his blogroll and will return the favor, immediately. Thanks Arthur and looking forward to future posts, like yesterday's "Copier Sales Tip Economic Stimulus Act". GreenPrint has published a white paper entitled "How to Reduce Printing Costs by 17% -- A Guide to Doing Well and Doing Good" and on yet another day of anxious (to say the least) financial markets, anything to save on expenses is appreciated. Note the white paper's availability via Scribd.com, the subject of my May 2008 Observations. To the faithful readers of Jim Lyons Observations, you heard it here first! I am honored to have been recently asked to add to my role as publisher of this blog, "JimLyonsObservations.com". Beginning immediately I will be adding to my responsiblities in the world of blogging, by taking on the role of Editor over at "Printer Industry News". "PIN" has been around and on my JLO blogroll for the last couple years, and is associated with The Photizo Group and "Managed Print Services". The new responsibilty comes as part of my ongoing work with Photizo and the recent formalization of my role as Senior Consultant with the company. As editor of "PIN", I will be a contributor and coordinator of blog content, most of which will center around Printing in the Enterprise and the explosive growth of Managed Print Services. Photizo is at the center of this market category, as providers of the MPS Advisory Service and producers of the first annual MPS Conference, set for April 2009. My work with Photizo promises to be both rewarding and challenging, but again to my faithful blog readers, Jim Lyons Observations, the blog, goes on! Keep reading here for topics here, ranging from consumer and specialty printing stories, to printing from the web, to breakthrough technologies and new-device printing (like from iPhones, Kindles, and yes, Androids), and of course coverage of industry conferences, to name a few of my favorite topics. 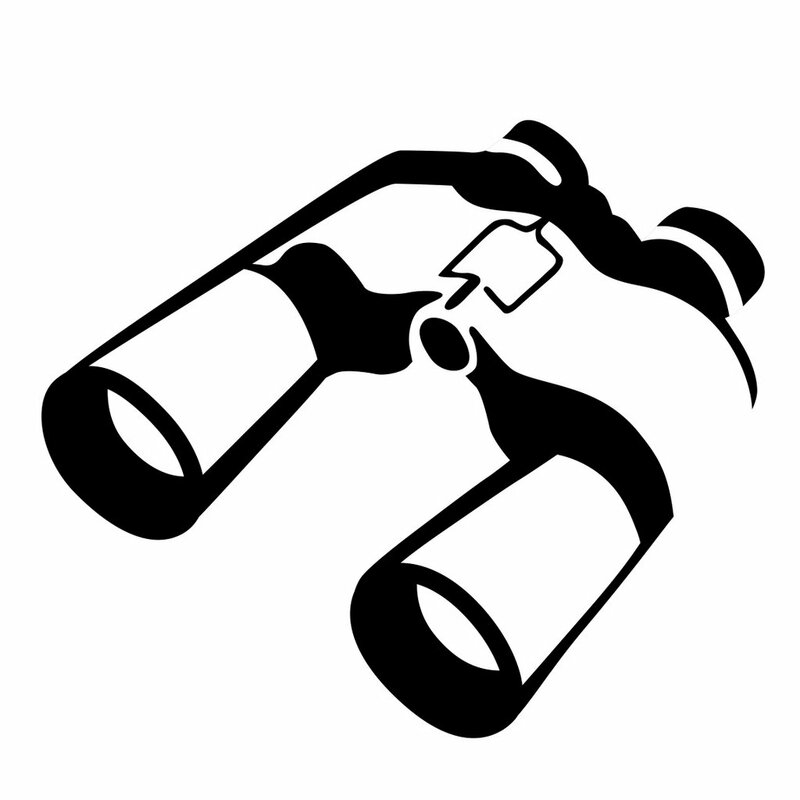 And my column, "Observations", featured monthly in The Hard Copy Observer, continues as well, and can be found both in the print version of the Observer as well as right here at "JimLyonsObservations.com". Please keep reading here, and we'll be looking for you over at the "Printer Industry News" blog too. The Google Chrome browser may be seeming like old news these days. Even though its "version 0.2" nomenclature does not speak to a mature product, Chrome's day in the sun as Google's (NASDAQ GOOG) latest creation is over, with the Google "Android" Phone now announced, as of yesterday, September 23, 2008 (for an example of the press coverage, see "The 'Google Phone': A Challenge to the iPhone?"). But after posting a very preliminary "Google Chrome printing" piece on September 3, 2008, I would like to offer an update. First, the fact that the Chrome EULA's "fine print" offered some heinous-sounding language (see "Be Sure to Read Chrome's Fine Print") ended up with a good deal of traffic coming my way. Searches on terms like "Google Chrome fine print" match up pretty well with "Google Chrome printing" so I have been receiving visitors with interests in both topics. And apologies to the group looking for more insight into the "fine print" side of the story, as I didn't even mention that topic until now. Hey, at least I didn't title the post, "Google Chrome prints fine", which it does, for the most part! Second, Google Chrome browser traffic is quite high at my blog, considering it's a fourth popular browser that's less than a month old. According to my favorite metric-catcher, Statcounter, my most recent "Browser Market Share" numbers for my most recent 1,500 visitors show about 8% on Google Chrome. This is over half of the Safari number (14%), with various versions of IE leading at just over 50%, and Firefox versions making up most of the remainder (25%), and a few odds and ends thrown in for good measure. And lastly, check out this tip for adding a print button to Chrome. (I've done it already, as seen illustration above, where I used features of SnagIt to blur the background and highlight my print button.) Thanks Tech-Recipes! Just a quick acknowledgement of the latest (and excellent) discussion of potential printing from the iPhone. Kara Soos over at the Databazaar.com blog has pulled together the historical setting (yes, thanks for the link Kara! ), along with a discussion with two iPhone applications developers, Josh Keay and Canis Lupus. In "Will iPhone Printing Become a Reality? ", find a great summary around current thought and analysis. The key questions explored include "why/how does a user want to print from an iPhone?" and "what's the likelihood they'll soon be able to do it?". Observations: Reading the Google Tea Leaves: How are Printers Faring? Reading the Google Tea Leaves: How are Printers Faring? It has been a number of weeks now since the seemingly ever-upward march of the price of a barrel of oil, with the resultant high gasoline prices, had finally peaked. And then, just a few weeks after that, a headline surfaced that in response to somewhat cheaper gas, the sales of gas-guzzling Sport Utility Vehicles (SUVs) were already rebounding. Wow, I thought, that did not take long! Well, the real story was that yes, there was an indication of increasing interest among American car buyers in SUVs, but it was based on measurement of activity on Edmunds.com, one of the leading consumer-research sites in the auto business. (My italics for emphasis.) In other words, the tracking of Web surfers clicking through various truck and car information pages was making national business news. The article is a fascinating look at how, in this e-commerce-oriented age, marketers can read all sorts of interesting clues about buyer behavior well before the actual transactional results show up in the marketplace. This fascinating discovery inspired me to go back to some research on a similar (if more crude) printer-related idea, research I had started earlier this year. That thinking had been triggered by several studies, including favorable comparisons between the accuracy of Web search metrics versus traditional political polling during the U.S. primary election season and valuation modeling of social network companies, also using search data. My idea is to simply look at Google Trends data to gain insight into the relative popularity of various printer industry brand names, compared to each other and over time. And while Web-search-savvy readers, including a few close friends, will not be stunned by my approach, I think it sheds some interesting light on trends in the industry. Its appeal is also due to the fact that it’s done “on the cheap,” which the best marketing research often is, in my opinion. Google Trends does a great job of tracking search terms, but of course the search terms themselves have to have certain qualities, like uniqueness. Just as doing a Google Search for “John Smith” will probably not have satisfactory results compared to a search on a more distinctive name, something like “Printer” or “HP” will not confine things enough to be very meaningful either. So let’s start with some favorite long-time model brand names, the HP family of printers and MFPs. When entering “laserjet, officejet, deskjet, designjet” into the Google Trends search field, the resulting page appears as shown in the image at left. The default is set for worldwide searches, and a section of the report page not illustrated provides geographic and language ranking details. There is also a “News reference volume” graph that I cannot quite fathom, so I have excluded it from the figures as well. What the main chart, “Search Volume index,” shows, is the color-coded relative index of each of the entered terms. In this case, LaserJet is the leading (top) term throughout the time horizon. It is surprising, however, that the trends are not in the "right" direction. I’ll let the professional researchers determine what this trend means and how it might be reflected in the market, but a test on a few more brands might shed some further insight, just to see if everything looks to be going down or if it’s just these venerable HP brands. My next analysis focused on the well-documented printer industry “stars” of 2007: Edgeline, Memjet, Silverbrook, and Zink. The graph above illustrates a lurking problem, in this case that Zink is actually a common enough surname so that it washes out the other results. 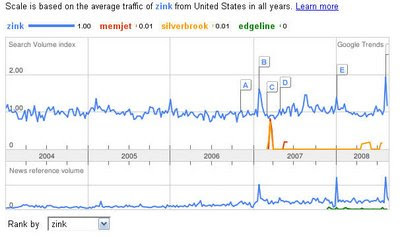 A data noise warning is that all the terms are represented in Google search universe by other usages—Memjet and Edgeline are used commercially in other relatively obscure products, and Silverbrook is an unusual (much more unusual than Zink, it turns out) but not unheard-of surname. Removing Zink in the chart below gets the other brands back on a visible scale. While these results are even more inconclusive than the HP graph, the interest spike of spring 2007 and resultant searches is certainly apparent. I will close with one more example to further whet the appetite of would-be Google Trends addicts. Because it looks like search interest may be declining in some of our most traditionally popular printer brands, and even our upstart brands spiked in interest but then mostly held their own since 2007 announcements, how about comparing to something that is really on fire? I have written about Apple’s iPhone and Amazon’s Kindle quite often (mostly about their lack of printing abilities), so how will they fare in the Google Trends analysis? (See above.) The graph below, removing the super-hot iPhone, shows an interesting pattern when putting LaserJet and Kindle together, with the huge November 2007 spike for Kindle, and a pretty steady relationship between the two since. It is fun to learn more about search data, but can we derive any real meaning? Like it or not, the news is not good for those HP brands—not to pick on them, but they are the easiest to analyze because they are the most popular brands with the longest history. This data might be trivial or even meaningless, but all things considered, which direction would you want your brands heading? Note -- In an exception to my typical practice, this online version of "Observations" includes some minor changes and additions, relative to the print version appearing in the September 2008 The Hard Copy Observer. Graphics and some supporting comments have been included that were omitted due to space considerations in the Observer. My post from a week ago (see "Time covers Zink") highlighted Time Magazine's coverage of this summer's new Polaroid PoGo printer, but more significantly, the Time article focused on the primary technology supplier for the product, Zink. The timing is not all the two disruptive efforts have in common. Their business history and structure have parallels, with the "overnight sensation, ten years in the making" affect, which in the Memjet companies' case, having had their technology quivers filled by the arrows from a decade-long path of research and development at Silverbrook Research. The Zink and Memjet business models also have many similarities, where as component partners the companies physically supply other companies, who build and market the end-user printer products. (Referred to as "licensing" in some quarters, but more on this somewhat-confusing concept in a future post.) In Zink's case the first public partner is Polaroid, and in Memjet's case, the partners remain unannounced. The companies vary in their stated ambitions too. 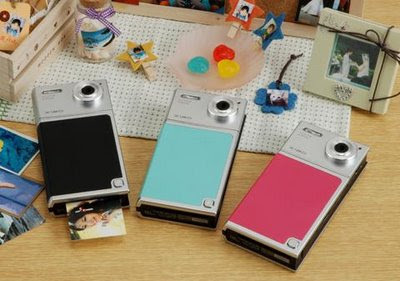 While Zink has been more narrowly focused around photo printing for camera phones, with a longer-term, broader vision of enabling printing where it's not been available before, it's a much wider array (pardon the pun) of printer industry ambition in the case of the Memjet companies. These include Labels, Home and Office, Photo Retail, and Wide Format, and includes each company with its own headquarters and staff with expertise in their respective market areas. The upstarts of 2007 are putting their announcements into action in 2008, and there is definitely the promise of many more interesting stories to follow into 2009! Today's daily horoscope published in our local newspaper, The Idaho Statesman, offers me and those like me (i.e. Virgos) some advice about dealing with certain historical material that's come my way. Well, that's good enough for me! I knew exactly what the reference was -- an interview published recently by the Wharton School's Knowledge@Wharton, an interview with the co-founder of Adobe Systems (NASDAQ ADBE), Charles (we knew him as "Chuck") Geschke. "IBM came to talk to us, but we deliberately decided to go really slow. We figured that in order to get a decent deal with them we had to have leverage -- namely a competitor already doing well. We tried to do a deal with HP [Hewlett-Packard]. They were extremely arrogant because the [Hewlett-Packard] Laserjet was doing very well and they didn't want to talk to us. After the [Apple] LaserWriter and desktop publishing became a phenomenon, IBM decided they had to get into the game and we did a deal with them. As soon as we announced the IBM deal, then Hewlett-Packard called and said, "We think we need to do business." In this week's Small Business "special section", under the heading "Tales of Triumph and Turmoil", an article entitled "Ink Inc.", by Time magazine writer Jeremy Caplan features the Polaroid PoGo printer, and its key technology supplier, Zink. The company, based in Bedford, Mass., is so confident of its intellectual property that it isn't even making its own machines. Instead, Zink is modeling itself on Microsoft and Intel, licensing its technology for use in other manufacturers' devices. Why battle Canon, Epson and Lexmark when they could become your customers instead? "If Intel were captive to one brand, it never would have become the great brand it became," says Zink ceo Wendy Caswell. "The same goes for Microsoft." Like most start-ups, Zink has wrestled with growing pains. When the company received its first set of paper packs from a packager, some had the wrong number of sheets. Rather than send the sets back, Caswell put 30 employees on an assembly line to weigh the 30,000 packages and fix the lemons. Chemists, engineers and others along the corporate ladder chipped in. "Everybody does the dishes here," Caswell says. But if Zink technology catches on, the same employees could be dining out soon. And also, of course I like that I'm quoted in the piece. Thanks Jeremy Caplan and Time! Interesting to note, too, the timing with the Zink coverage and the kickoff of Fall Demo 2008. Zink first caught my attention (see "Zinking in from Demo") at the Conference series' Spring 2007 edition.